Have you ever seen real dinosaurs?? This was my first time! 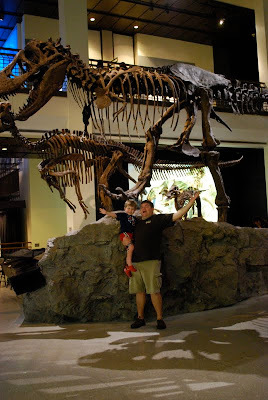 Here he is with Nana looking up at a big dinosaur! Me and Mags :) She was roaring at them! Okay do you remember this picture from 2 years ago at Mickey World?? Hard to believe it was 2 years ago! They had to do it again! This time in front of a real dinosaur!! 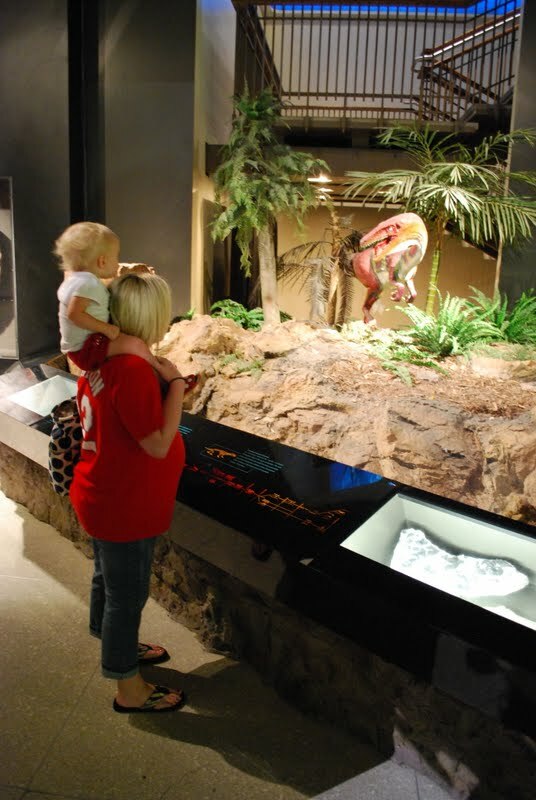 Hunter loved the dinosaur museum! He wanted to see more dinosaurs, though. He didn't understand that there just aren't a lot of dinosaur bone laying around. I thought it was pretty awesome! Our God is amazing!! How did He come up with dinosaurs? Wow! Okay... well I am trying to get our naps back to regular time, so I will blog more about our awesome trip later! Hope you all have a wonderful Monday! we HAVE missed you! What a great trip. Glad you guys are back!